U.S. Pat. No. 7,062,320: Device for the treatment of hiccups. 1. 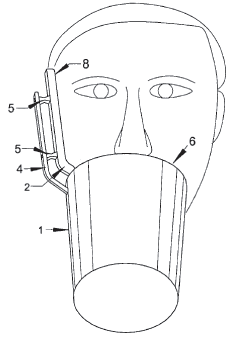 A device for curing hiccups, comprising: a metallic cup-like vessel being a first electrode for producing electricity adapted to be applied to the lip of the user; and a second electrode electrically insulated from said first electrode being affixed to said vessel and extending from a point substantially within said vessel to a point substantially above a rim of the vessel. U.S. Pat. No. 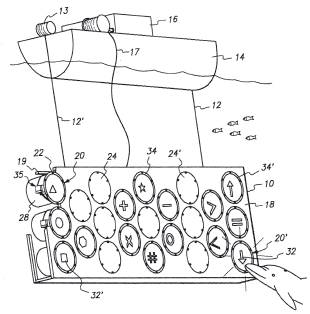 5,392,735: Marine mammal communication device. U.S. Pat. No. 5,260,639: Method for remotely powering a device such as a lunar rover. 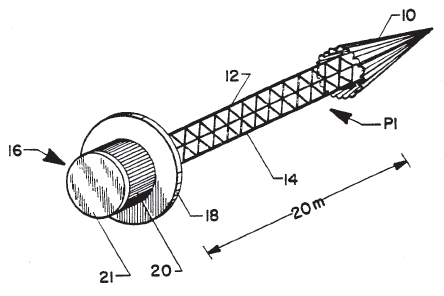 converting the power of the GaAlAs laser beam into electrical power for use by the device, said converting step comprising directing the GaAlAs laser beam through a layer of n-GaAlAs semiconductor, through a layer of p-GaAlAs semiconductor, and then through a layer of p-GaAs semiconductor, whereby an electric current is generated.